IBM’s Watson IoT Unit has partnered with Harman’s Professional Solutions group to create an AI service to called Voice-Enabled Cognitive Rooms. The service will act as an “in-room cognitive concierge” or basically, a virtual assistant that can control a room with voice commands. Like the Amazon Echo and Google Home, the Cognitive Room technology is activated by a “wake word” but it can be customized to whatever the user desires. Right now the technology is already in use at the Thomas Jefferson University Hospital in Philadelphia as a patient concierge. Patients can ask for information about visiting hours, set alarms and control their room’s temperature and lighting. We’re solving a very distinct problem in hotel, hospital and conference rooms, where people experience unfamiliar environments yet need to perform very simple tasks, such as changing room temperature, adjusting the lighting, opening the blinds, initiating conference calls or launching a presentation. Voice-Enabled Cognitive Rooms by HARMAN make for a natural and intuitive experience, especially for weary travelers or patients with special needs. Hotel chains have recently shown interest in using voice-enabled virtual assistants as an on-demand concierge for guests. Wynn Resorts has already added an Amazon Echo device to every suite at their flagship location in Las Vegas. And, Marriott International is testing voice-assistant devices from both Apple and Amazon for its hotel chains. 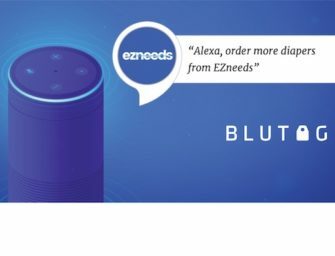 A Direct Competitor to Alexa? This would make IBM’s Cognitive Rooms a direct competitor for Amazon in this market. I would imagine the Amazon Echo, which retails for $179.99, is the cheaper solution between the two. However, when it comes to customization, IBM has Amazon beat. As the system learns a particular person’s preferences, it can automatically adjust the room’s system to their liking without being told to do so. As I previously mentioned, the wake word for IBM’s technology can also be customized, allowing hotels and other companies to create a user experience that is on-brand. With the number of hotel rooms totaling over 5 million in the US alone, the hospitality industry is a lucrative market for virtual assistants – IBM and Harman aren’t just going to let Amazon have it all to themselves.